Siam Imports, Inc. is a local Buford, Georgia florist delivering courteous and professional service, along with the highest quality floral and gift items around. Welcome to our shop’s website - conveniently open 24 hours a day!! We hope you enjoy your online shopping experience with secure ordering right at your fingertips. If desired, you may also call us to place orders direct at (770) 932-2001. Wedding Bouquets & Flowers for Special Events... With flower arrangements and bouquets from Siam Imports, your wedding or function is sure to be a “blooming success." Call us in advance at (770) 932-2001 to schedule a consultation. Let us add the beauty of flowers at all your occasions and locations - large or small. We do weddings, corporate events, holiday parties, showers, receptions, outdoor gatherings, etc. Sympathy Flowers, Funeral Arrangements & Tributes... Ask our staff about customizing a floral tribute to a departed friend or loved one. 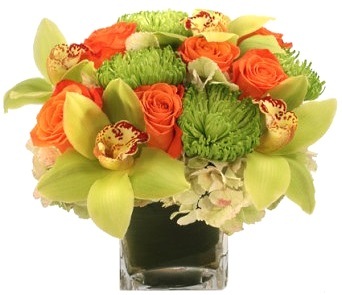 We can design and deliver funeral flowers that thoughtfully convey your expressions of sympathy. Wonderful Gift Ideas for All Seasons & All Reasons... Browse our assortment of Dish Gardens, Green Plants and Blooming Plants for a gift that will instantly bring life to any room or office. We also offer Fruit & Gourmet Baskets and Gift Baskets, as well as a nice selection of Balloons, Antiques, Baby Gifts, Candy/Chocolate, China/Crystal, Gifts, Greenhouse/Nursery Items, Greeting Cards, Home Décor, Scented Candles, Silk/Artificial Flowers, Stuffed Animals, Tropical/Exotic Flowers, and more! Thank you for visiting our website with flowers delivered fresh from your local Buford, GA florist of choice, Siam Imports, Inc.